Yet another example with the ATmega128. This one is a complete application testing the 16-bit fast PWM output generated from Timer/Counter 1. What it does is take analog readings from ADC0 then output as PWM to drive a LED. 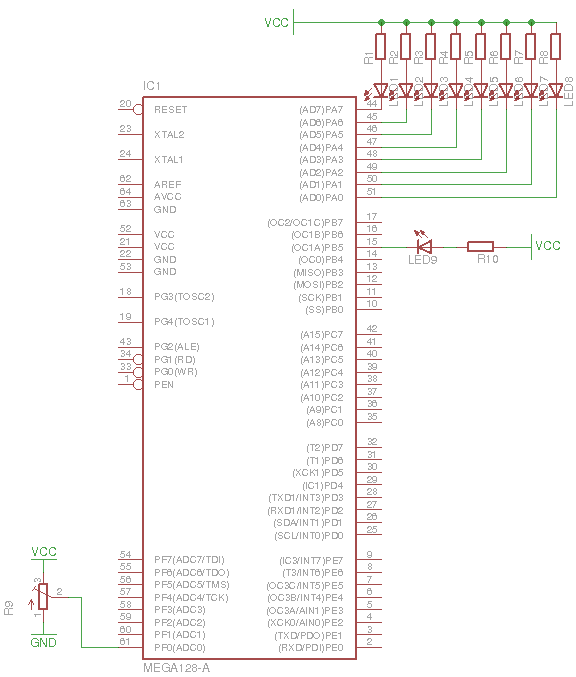 Also the voltage level at the ADC input is indicated by 8 LEDs connected to PORTA - sort of like a LED bar graph. Note that I did this example on a different board which has got a 16 MHz crystal, but the micro is the same.